Simone Tramontana’s working life has afforded plenty of diversity; from the high powered energy of personal training to the high level pressure of her role as an executive assistant, the common thread throughout has been an ability to connect with people from all walks of life. While building an effective relationship with clients takes time, Simone’s inherent empathy, combined with a relaxed and open manner, often establishes a quick rapport. As a licensed Estate Agent, her excellent negotiating skills and meticulous attention to detail ensure she consistently delivers outstanding results. Simone is a local, having grown up in the area, she attended school in Moonee Ponds, and while Simone has lived in a number of different suburbs, she is always drawn back to Melbourne’s North West. Along with comprehensive local knowledge is a genuine affiliation for the suburbs she represents. Naturally gregarious, Simone’s super energy levels are maintained with regular workouts, and while her precious down time is often short, she loves spending time with family and friends. Simone was very helpful, most pleasant, great to deal with to get a good result for our sale. 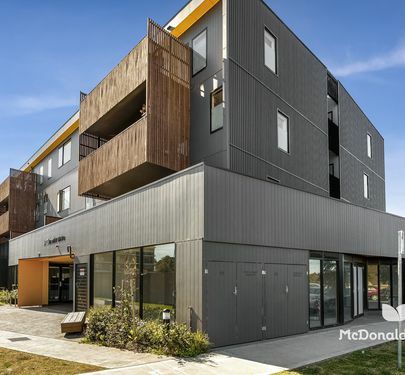 Paul McDonald & Simone Tramontana and the McDonald Upton team were very professional and provided excellent service in the sale of my Mother's unit. They kept me up to date with everything that was happening through regular and comprehensive phone reports. The marketing program was very well done and proved to be most successful. All administrative functions were performed most efficiently. Simone was very professional throughout the whole sale process. Communication was outstanding. I was kept informed and up to date after each open for inspection. Simone provided a high level of communication and understanding through the sales process. In turn, this made the experience as seamless as possible. Recommended. I write to express my appreciation in the way Simone handled my investment property in Essendon. By entrusting Simon to sell my property alleviated unnecessary stress and anxiety that most vendors experience. I am impressed with the efforts which she puts in the sale of my property and to make sure that I got the highest price. Her constant updates and easy accessibility were most assuring. Simone certainly possess the right acumen for what she does. Her professionalism is highly commended. I have no hesitation in recommending her services to anyone who requires them. Simona was pivotal in the sale of the property for a good price in the current market. Attracted competing bidders at the auction. We simply couldn't have asked for anymore from Simone in the selling of our home. A stronger focus on rapport, friendliness and communication, it's refreshing to see a real estate agent that isn't just putting the hard sell on potential buyers from start to finish; a turn-off for many. Simone was particularly instrumental throughout negotiations, whereby we ending up securing the sale several weeks prior to the schedule auction date. A massive relief and convenience for us. Fantastic combination with Joe, a duo I would strongly recommend for those looking to sell. I just wanted to thank Simone Tramontana for her professionalism, excellent communication and enthusiasm when it came to presenting and selling my home. It was refreshing working with someone who was genuine, trusting, authentic and such a tireless worker. I knew that every time that she was in contact with a potential buyer that she was representing myself. I could not recommend her more highly and in fact the whole team at McDonald Upton. McDonald Upton when the time came to sell our mother's home. We chose Simone as our agent as she was highly recommended, and it was an absolute pleasure working with her. Simone was realistic in managing our expectations in a market we were not very familiar with. She went above and beyond the call of duty on numerous occasions. Simone has outstanding communication skills and kept us in the loop every step of the way. As I said to Paul McDonald after the auction, Simone is a star and a credit to the team at McDonald Upton. I would have no hesitation in recommending Simone to anyone who would like to work with an enthusiastic first class real estate agent. She is a thorough professional. Thank you, Simone - you're a star! I went with McDonald Upton to sell my house as I have dealt with Paul McDonald over a number of years in buying/selling of property. Simone Tramontana was the main agent I dealt with over the campaign, and I can highly recommend her to future clients. I was very impressed with her honesty, knowledge and commitment in doing her best for all parties. She provided excellent feedback after each OFI and kept me up to date about potential buyers, and was always very reassuring. I had a great result on auction day by Paul McDonald. 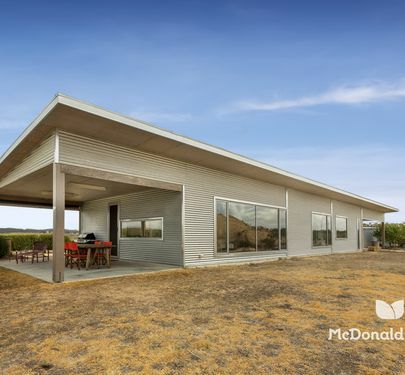 I highly recommend Simone Tramontana and also McDonald Upton Real Estate. 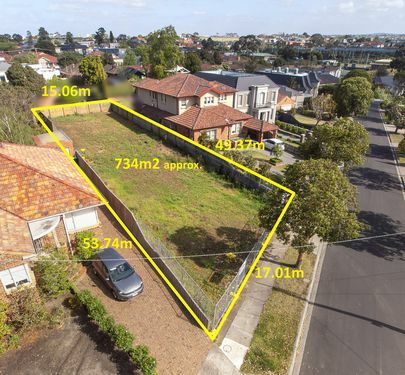 Over the years we have purchased and sold many properties here in Melbourne and in Brisbane Queensland and through the process we have met and dealt with numerous Real Estate Agents some of which were reasonably good others not so good. It is only when we met with Simone Tramontana who is with McDonald Upton Real Estate Agency that we came to appreciate the difference between Real Estate Agents. We met Simone when we had a knock on our door, introducing herself, when the Penthouse in our building was sold, should we decide in the future to sell our unit. Simones’ approach was so professional that some months later the opportunity to sell our apartment presented itself. 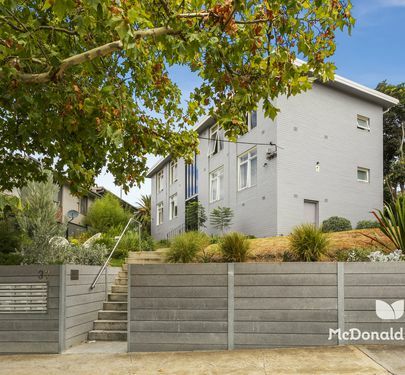 It was a very easy decision and that was to proceed with McDonald Upton Real Estates Agency and in particular with a direct request that Simone Tramontana represent us. Simones’ approach to the entire process was nothing other than courteous, professional, caring and most importantly compassionate and beyond anyone’s expectations. Her attention to detail and constant support to my wife was really extraordinary. Her perseverance in obtaining the price we were looking for was not easy at a softened market yet, her hard and honest work realised the sale. Simone, there is so much more we would like to say and hope that in future you remain in our life. Thank you again for all your hard work, we grew to love you as a person and a friend you made us feel to be. We wish you the very best for the future and sincerely hope that other people like ourselves get to meet you and appreciate your honest and compassionate work as we did. Thank you again Simone. We entrusted the sale of our home to Simone and are absolutely thrilled with the result. Throughout the campaign, Simone was always available, clear and concise with communication and always had our best interests as vendors at heart. Simone’s real expertise came to the fore when negotiating with buyers to achieve the highest price possible for us and our dream price was smashed thanks to her exceptional negotiation skills. Her unwavering determination to get us the best price was exemplified when we received a call at 7 pm on a Saturday night, to let us know that she had been negotiating with 2 parties for hours and had extracted an extra $20,000 and a signed contract. Safe to say we were ecstatic. I have no problems recommending Simone to any prospective vendors as not only is she in your corner, but she jumps the ropes, throws on the gloves and fights for you. We could not be happier with the way Simone conducted herself during our sales campaign. Nothing was too much trouble, she always went above and beyond our expectations. We were always fully informed of the progress with clear communication and she followed up every detail regarding prospective buyers. She put us at ease when things got stressful. She is honest, organised and we had complete confidence in her ability. We have no hesitation recommending Simone. Our property sold above our expectation. I was so pleased to have Simone as our agent. I had met Simone at a previous auction where she had left a very good impression on me so much so that I was really happy to have her as my agent. Simone communicated very well throughout the auction process both after open inspections and on auction day. What was a very stressful event was made very easy with Simone and Paul's calm and thorough approach. The whole team were very professional. On behalf of Karen and myself, I would like to congratulate McDonald Upton Real Estate on the professionalism in providing their expertise on our Family Home of the last 17 years. The idea of getting ready to sell was very overwhelming and then we spoke with a few agents and I still couldn’t get the feel for what was the right way to go. I was recommended to speak to Paul through word of mouth recommendations and that is when I first met Paul and Simone. Instantly, Karen and I got this comfortable feeling that things would be in experienced and capable hands. Paul explained in our meetings how things would work and through the following weeks that is exactly what took place. Simone was very thoughtful in her ideas and took a real personal involvement in our property. My family is personally involved in fundraising to build a house for young adults living with disabilities. Thanks largely to a very sizeable personal donation form Paul McDonald we are well on our way to achieving that reality. I would have no hesitation in recommending McDonald Upton Real Estate to anyone in the future. I would be happy to discuss anything pertaining to McDonald Upton Real Estate if you would like to contact me personally. · a four week timeline including “Open House dates” through to auction and introduction to the Sales team. 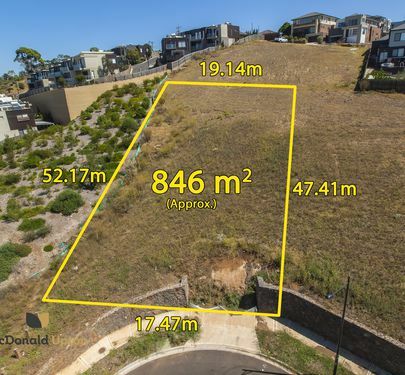 From the first open house through to the auction the sales plan did not miss a beat and we were personally surprised at the number of potential purchasers on each occasion. 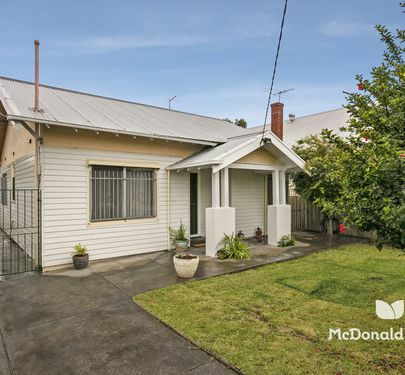 This was in contrast to my observations of real estate sales in Gisborne: it is not unusual for properties to be on the market for 6 months however the McDonald Real Estate sales campaign was unlike the typical Gisborne promotion in that they recognised a market for the property existed outside Gisborne and they promoted the sale accordingly. We were particularly impressed with the attention to detail and the additional hours put into the sales process by Paul and Simone Tramontana. They were punctual, kept us informed and were always available for advice. With so much attention to detail it was not surprising in retrospect that the auction was a resounding success. We would confidently recommend Simone and Paul to anyone selling in Gisborne. We just wanted to email you about how genuine and pleasant Simone was to deal with during our attempted purchase of 3/972 Mount Alexander Road. We were quiet upset at missing out on the property but Simone was lovely enough to keep in touch and even help us with property finding or general advice. This was something she didn't need to do especially considering the sale was over but it was a testament to Simone's genuine and thoughtful nature that she went above her call of duty in aiding us. Property hunting can be hard on even the most experienced let alone inexperienced first home buyers. We feel truly grateful to have met and come to know Simone over these last few weeks. She feels now more like a friend to us. We hope to deal with her for future sales and would definitely recommend her to friends and family without second thought. We just wanted to take the time to write this short testimonial to thank Simone.